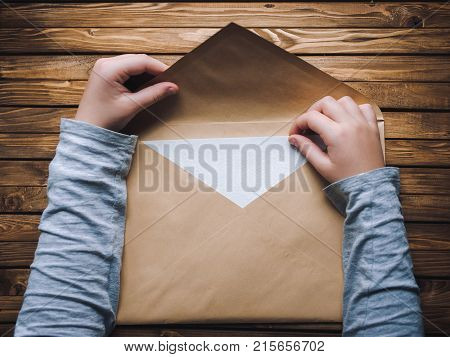 envelope › Buy Poster of A large brown envelope holds the child's hands. Envelope on a wooden background. Poster of A large brown envelope holds the child's hands. Envelope on a wooden background.